Because a ToughGuard-Aero® treated aircraft significantly reduces parasitic drag by repelling surface contamination, immediate and long-term operational benefits can be realized. 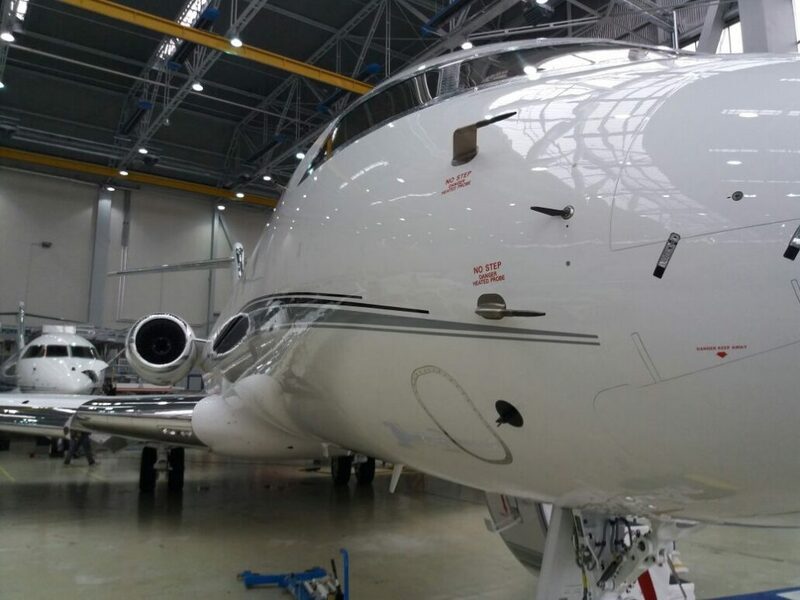 Reduction of cleaning maintenance costs, increasing the life of the paint and improvement to fuel efficiency are some of the economical benefits of the ToughGuard-Aero® paint sealant coating. Our non-toxic formula creates a barrier that bonds, seals, and protects against the costly effects of environmental damage. Our Nano-technology formula locks onto the surface of your aircraft at the molecular level. The end result is a shield that shuts out corrosion and other costly contaminants. The ToughGuard-Aero prep wash cleans the painted surfaces down to the microscopic level. This wash prepares the paint for the STEP 2 – ToughGuard-Aero coating by removing existing pollutants, waxes and other sealant products. Due to the low surface tension of our ToughGuard-Aero Sealant Coating, a little bit of product goes a long way. Customers around the world marvel at the ease of the application process and at the brilliant results of the ToughGuard-Aero Sealant coating. Once the ToughGuard-Aero Sealant Coating is applied we recommend 12 hours of curing time before you get your bird airborne. This cure time ensures a complete and thorough bonding of our resin with the paint. 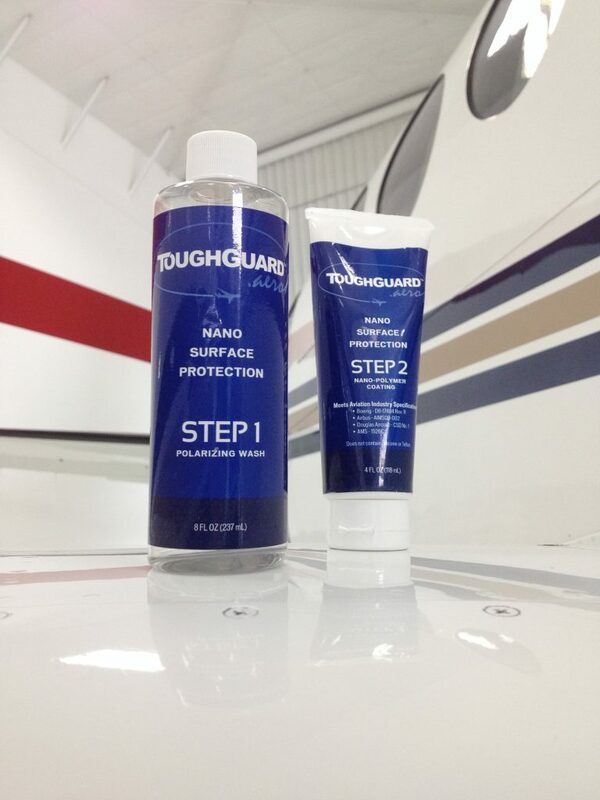 ToughGuard guarantees the durability and shine of your aircraft’s finish for a minimum of 2 years after initial application by one of our authorized dealers.